Age of Empires Series is a real-time strategy game based on various human civilizations that have developed since the Stone Age. The player is required to gather and use resources. The civilization chosen by the player comes with its own set of attributes that will have an effect on the development of technology and survival. The first game in the series was set in the Crusades. It follows a fictionalized Order of the Assassins inspired by the medieval Nizari Ismailis in a centuries-long conflict with the Templars. Each game includes historical figures from different periods in world history. Call of Duty Series is a first-person shooter game. The first up to the third Call of Duty games were loosely based on World War II. Call of Duty 4 and the subsequent releases were set in modern times. The games were told from the perspectives of the American, British and Red Army soldiers. 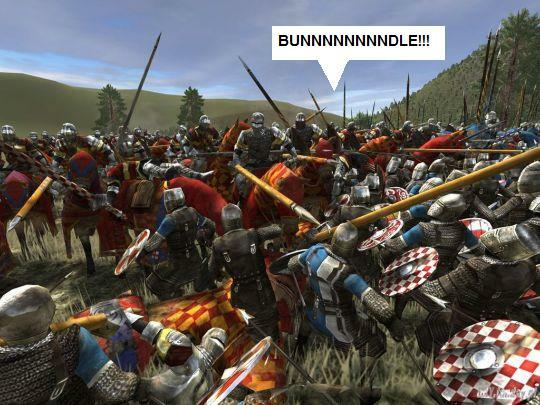 Civilization Series is a turn-based strategy game. The player will have to overcome conditions set in the game and by other players. The goal is to build a civilization that will last through time which begins in 1 A.D. and continues to the present and even beyond. The technology will depend on what’s available and takes into consideration the environmental factors and political climate with neighbors. Conflict Series, which currently has five games in its franchise, is inspired by modern events. It’s a tactical third-person shooter game. The first game was set in the Persian Gulf War. The second game was set Gulf War, while the third in Vietnam War. Dynasty Warriors Series or Shin Sangokumusou is probably the most well-known video game adaptation of the Romance of the Three Kingdoms. It’s a tactical action video game where you can control any one of the numerous warriors. Oregon Trail Series was inspired by the 19th century settling of Willamette Valley in Oregon. The player will guide his companions on the journey. These party members could die from various causes and the player must also hunt for food supplies to survive. Red Dead Redemption is a Western open-world action-adventure game set in the 1911 American Frontier. It features the Old West—Western United States and Mexico. The lead character of the game is the outlaw John Marston whose loved ones were taken by the government. Samurai Warriors Series or Sengoku Musou is based on the Sengoku jidai or Warring States period of Japan. The game mechanics is similar to that of Dynasty Warriors i which you can control any one of the characters available. The battles are loosely based on the real fights in history. Total War Series is a strategy game which combines turn-based gameplay when gathering resources and real-time control during battles. The setting for each game varies. The first, Shogun: Total War, was set in Japan’s Sengoku period.